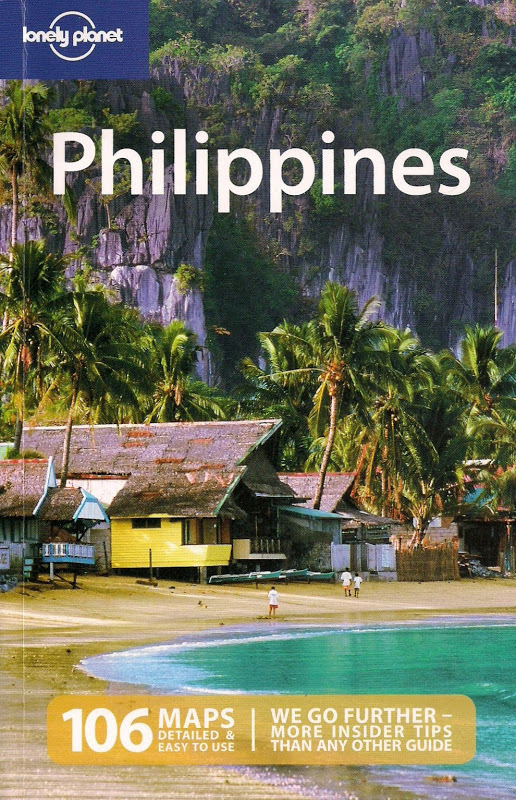 "Two countries in one small island". No wonder it's got two names: St. Martin/ Sint Maarten. I smiled listening to the car rental guy proudly showing us a map and highlighting our planned route with a marker. We were at his office right off the pier where our ship docked. After taking locally guided tours in St. Thomas, Barbados, St. Lucia and St. Kitts, we've decided on renting a car to explore this 87-square kilometer island. For more than 300 years, the island has been shared by both the Netherlands and France. It was a tough tug-of-war between the two even long before that. While they're such intimate neighbors now, one could go between the two with out even going through immigration. Or having passports stamped. One could even easily miss the border if not particularly paying attention for it. Despite being ruled by two different countries, they still exude their own distinct culture. On the smaller Dutch side, officially called Sint Maarten, life is all about being on a party-mood while extolling Holland's flair for informality. There's a lot of development - especially around the capital of Philipsburg - most notable of which are numerous hotels, casinos and strip malls. This is where our ship docked. On the other side, officially called St. Martin, it's less raucous and more about quiet refinement. The numerous beaches lay waiting for those who seek them - whether to bare some or bare all, who cares. In the main town of Marigot, there are boutiques selling French designer goods and restaurants showcasing the best of French cuisine. .
A $40 compact Hyundai was just perfect fit for the four of us. We got into the car, happy at the thought that we're actually covering two territories in 10 hours. Our plan was to basically follow the ring road counterclockwise and hit as many beaches and points of interests as we can manage. To make road navigation even easier, our rental came equipped with a GPS. "Whatever you do, don't forget to stop by Maho Beach", the car rental guy reminded us. Now I'm really giving him a knowing smile. "Of course not", I quipped. As an aviation nut, I've been excited watching YouTube videos of airplanes landing and barely grazing above people's heads on Maho Beach. How cool is that? Truly one thrilling experience which dictated the planning stage of this Caribbean cruise. In other words, a personal highlight of the trip for me. There I was gleefully watching planes after planes landing and taking off. Never has the underside of a plane been so exposed to me even if fleeting. Mostly Airbus A320s and Boeing 757s (Unfortunately, the B747 I was hoping for didn't arrive). It was so captivating I forgot my plan to swim or barely ate a late lunch of French baguette & roasted chicken. The roar of jet engine and the blast of air was an intoxicating brew of thrill and danger. But what an irony, I came here by boat and what got me excited like a kid in a toy store was a plane. these caribbean islands are simply gorgeous, and i'm not even talking about the beaches yet. that maho beach where you can get as close as you seem to be with the plane is really incredible. I bet you're counting the days till you get to Maho Beach yourself! Of course! Why would you skip Maho Beach? I guess KLM didn't have their flight that day. Have you checked the surfboard at the bar next to it for the timetables? I've seen pictures of that approach so many times in the Internet that that indeed is a serious consideration when I think of a visit to the Caribbean. 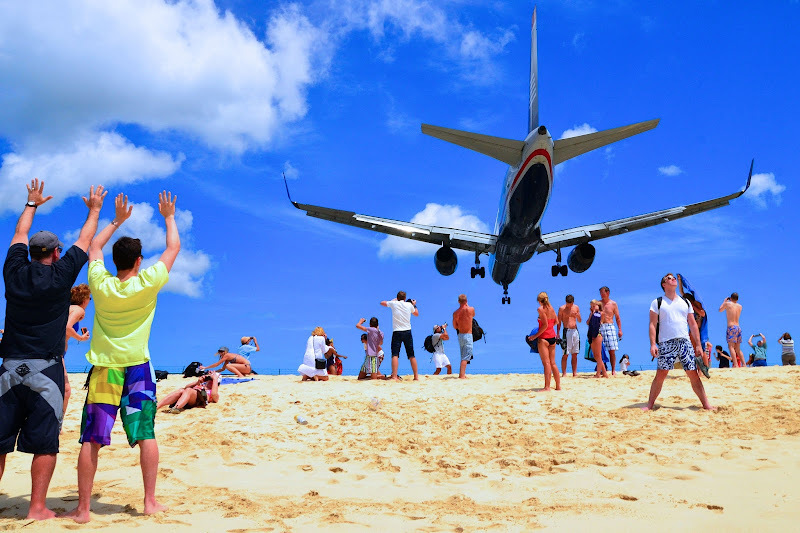 maho beach must be on the bucket list of most, if not all travelers, dennis. glad you took us there via your blog; thank you! i needed to call gabby & tina to my laptop & show them this post and we viewed that 8-sec vimeo vid you took (i was amazed like a kid!). i bet every second of that experience was exhilarating! awww, one happy family seeing my little video makes me happy! I'm sure Gabby would be the first one to jump for joy if you guys get the chance to visit Maho Bay - one of the best places for plane-spotting! Thanks. Hope you tick that island off your list one day! Fantastic photos Dennis... So vibrant.... St Maarten is one of my favourite Caribbean destinations along with Anguilla. It should be on everyone's bucket list! thanks for dropping by Luxury Travels! I´d like to read more about your blog once I´m back from my current trip. Thanks for this great share. This site is a fantastic resource.